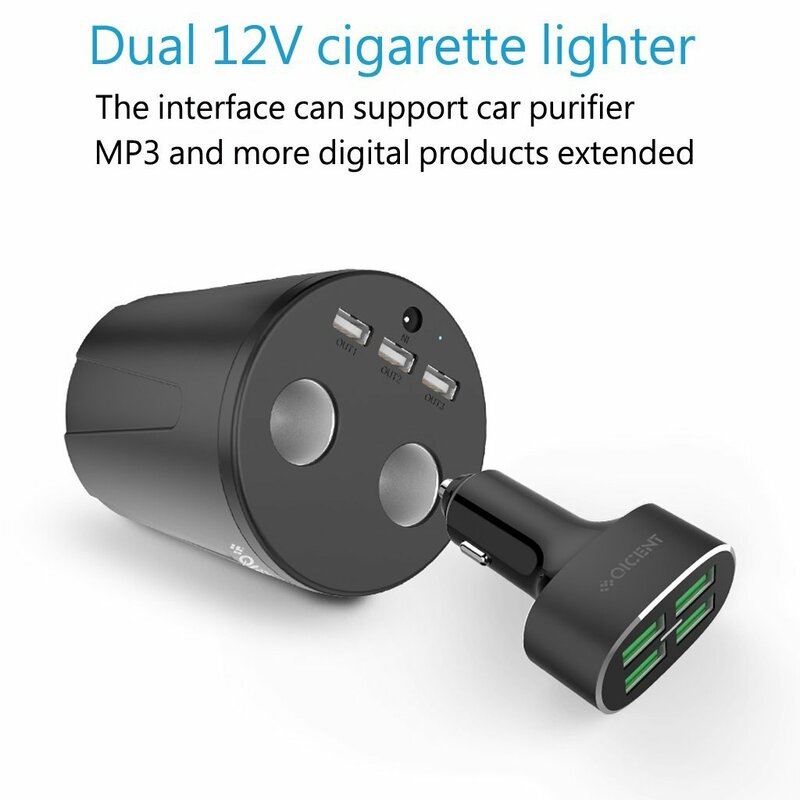 When connecting 3 port car charger into your vehicle's cigarette lighter socket, 3 ports of super charger are at your service. 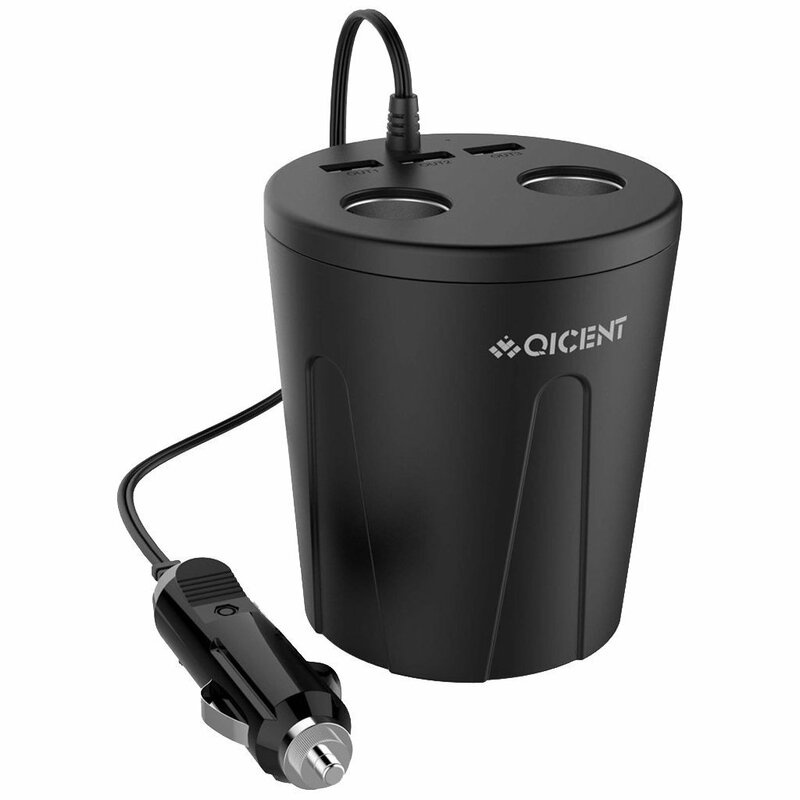 It allows for charging 3 devices at the same time, keep portable devices powered up and ready to go. 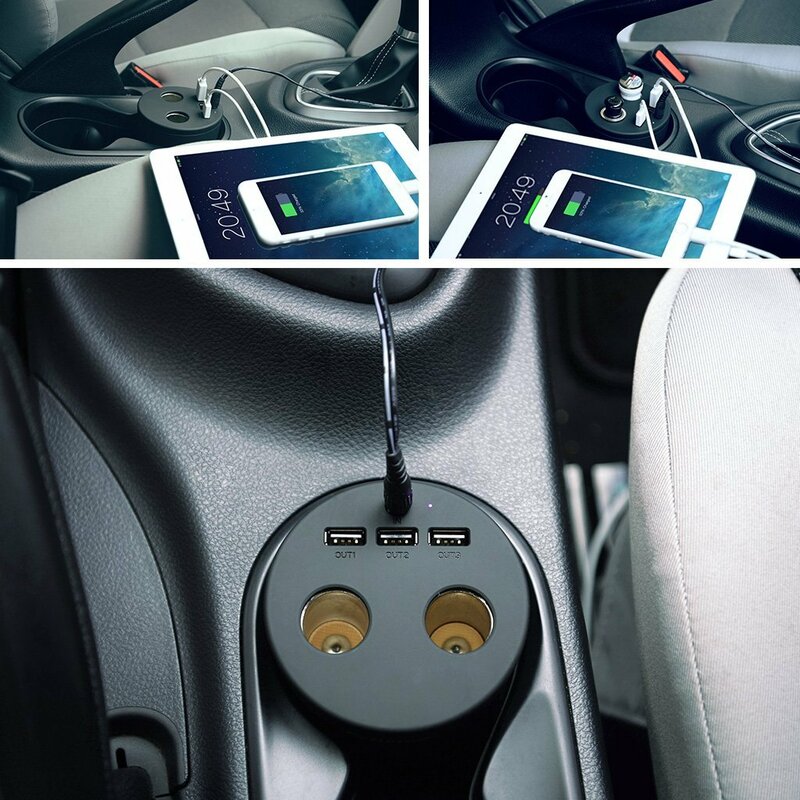 • In addition, unlike ordinary car charger, this gadget has been designed into a cup shape, which is capable to hold your phone while charging, fully free your hands. 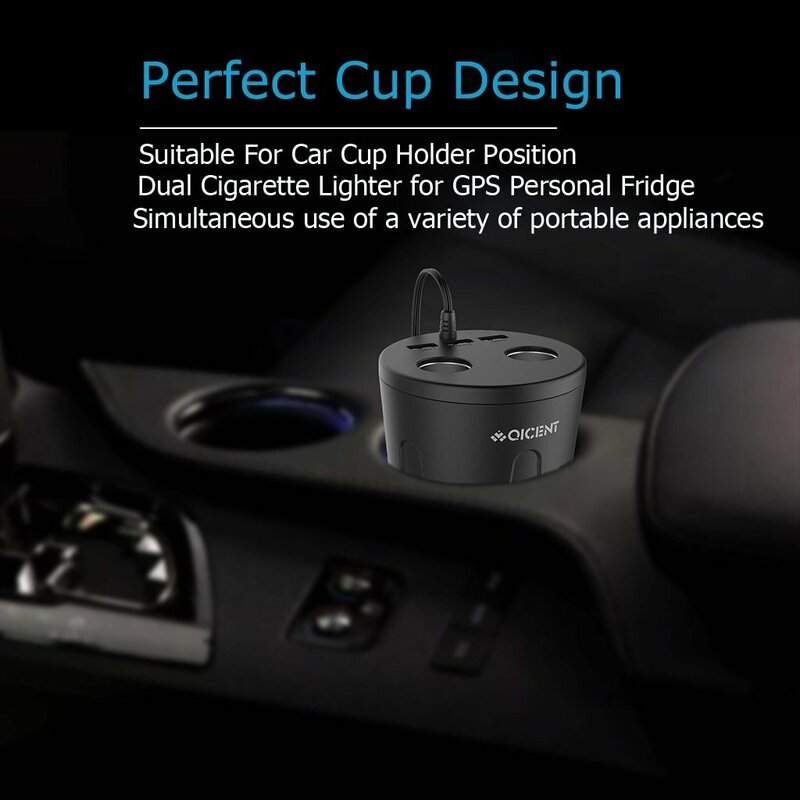 • Cup holder fits smart phones that has a slimmer size than iPhone 5S (included, 5.8 cm in width). 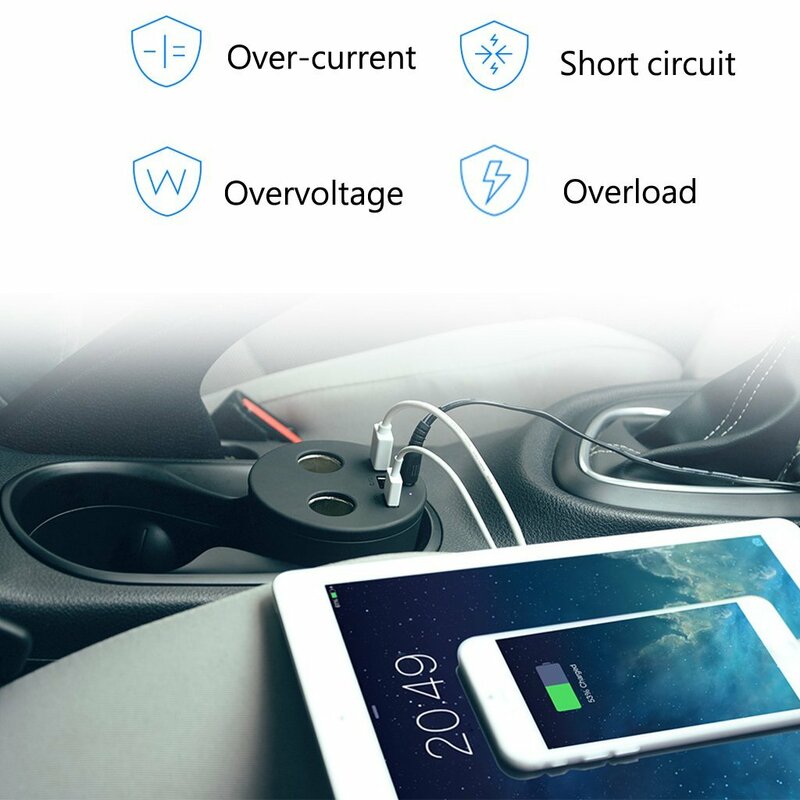 • 3 Super Charging Ports will detect attached devices and self-adjusted to a right status. 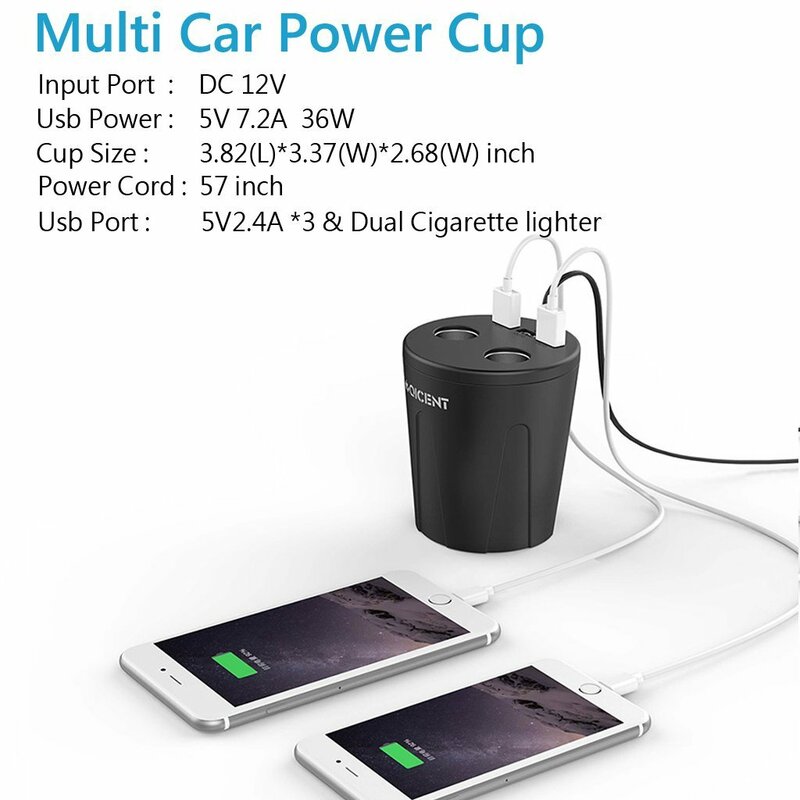 Avoiding any compatibility Issue and supply reliable power for High Power Required iPad, tablets or Cell Phones from Apple, Samsung, Sony, HTC etc. 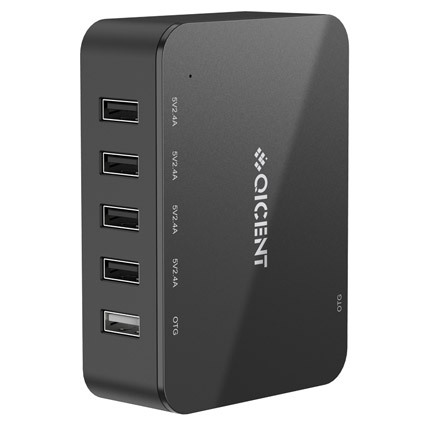 Attach Devices to Super Charging Ports when any Compatibility Issue happens.